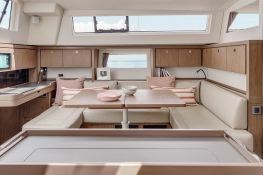 From Mao, this Sense 57 will allow you to explore Menorca and other Balearic islands. 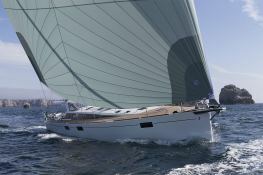 The Sense 57, a sailboat of great comfort, built by Beneteau shipyards, has an extremely fluid on-board circulation, a unique style and a new access to the sea. Indeed, the rear platform creates a veritable terrace flush with the water. Thanks to its hydraulic system it closes completely and perfectly secures the cockpit in navigation. The finesse and silhouette of this marvelous boat offers a great idea of ​​the escape. 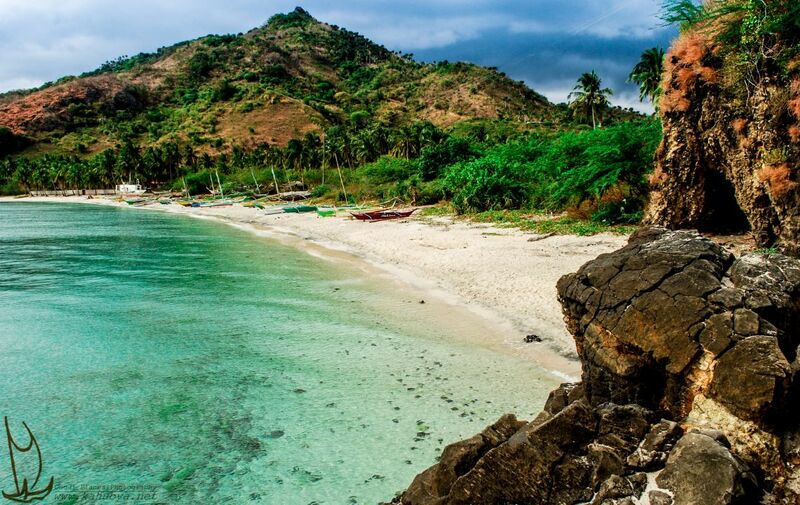 Perfectly balanced under sail and highly manoeuvrable, the rental of this sailboat offers a remarkable comfort of navigation. The large square bathed in light offers a sea view omnipresent in an atmosphere both luxurious and warm and provides navigation in an incredible well being. 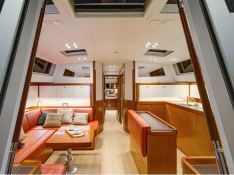 Thanks to its 3 cabins it allows to receive 6 people in large spaces with all the comfort for sailboats of this size. 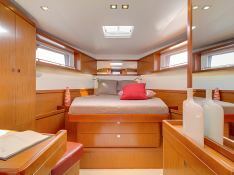 This skippered sailing yacht is available for yacht charter with a base price of 7 990 € (approximatly 9 011 $).